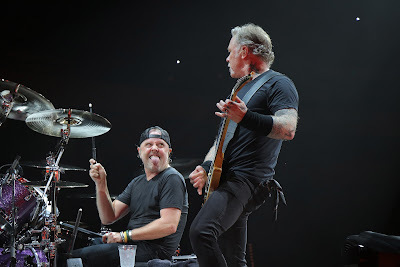 Metallica are streaming official video of a performance of the 2016 track, “Dream No More”, from a January 22 show at Legacy Arena at The BJCC in Birmingham, AL. The tune was featured on the band’s tenth album, “Hardwired…To Self-Destruct”, which debuted at No. 1 on the US Billboard 200 to deliver the group their sixth US chart-topper. The Birmingham stop is part of Metallica’s current North American leg of the WorldWired tour, which will wrap in Stateside in March before launching a full summer series of European shows in Lisbon, Portugal on May 1. Metallica’s All Within My Hands Foundation (AWMH) recently launched a US community college initiative that saw the band donate $1 million dollars to enhance career and technical education programs across the country. Ten colleges from across the US received $100,000 each to support more than 1,000 students training to enter the workforce through programs that provide skills and services to those who are looking to enter a traditional trade or other applied learning program. Partnering with the American Association of Community Colleges (AACC) – a Washington, D.C.-based organization that represents the nation’s 1,103 community colleges – the Metallica Scholars awards were selected via a competitive application process and are designed to provide support of relevant job skill training for community college students, reinvest in communities that supported Metallica during its recent United States tours, and leverage the influence of the group to elevate the importance of career and technical education.